Since we joined the Eco Solutions Program to save the world 20 years ago, we believe that we are saving huge amount of dollars every day in our living. Today, we are facing economy crisis around the world. Oil crisis made the world market tremble, and crimes as well as calamities are enveloping our lives with terrible fear. We first joined to plant trees in all available lands we have, and we believe more than 200 fruit-bearing trees and various vegetables are planted. Harvests are more than enough for our daily consumptions, thus, we could distribute it to our neighbors for some income. They are all additional income to help our simple living. We gather all kitchen wastes to compost for vegetable fertilizer. We have chickens and goats for our daily meat supply. The PYRO-ENERGEN group is organized under the program of cottage industries. This is also for the purpose of Eco Solutions. In the system of cottage industry, we receive a lot of support by the government. We do not need regular workers. The entire family circle can manage even big businesses, and hundreds of thousands of members are all part-time workers. This way, we save a lot of overhead expenses and other unnecessary expenses unlike well-organized and sophisticated giant companies. Yet, we work in a lot of categories of works just like a giant company. We can help and hire working students, too. So more people are happy in supporting their families. This is the great part of Eco Solutions. Falling leaves and branches are used as fuel for cooking and boiling waters with PYRO Eco Stove, which may cost you only a few dollars. See article "PYRO-Eco Stove for Cooking on Rural Areas". All our members and neighbors use the Eco Stove, and the prototype or sample model of it are shipped to various countries to add to their Eco Solutions. Although, we have air conditioners in every room in our house, we try not to use it unless the climate is too bad that it can affect our health conditions. 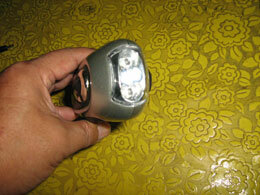 We use hand-operated wind-up dynamo flashlight and they are placed in each rooms for night emergency. 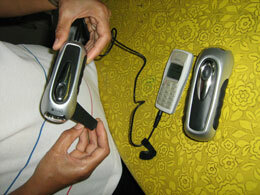 The dynamo flashlight can charge cell phone batteries and small radios. The wind-up dynamo costs you only a few dollars. It is cheaper than the cost of dry cell, which may last only a few hours. 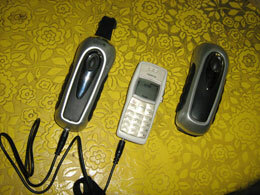 Nightlight, radio, and TV set can be operated by motorcycle battery that is charged by solar cell power during daytime. In this way, we can cut nearly 50% of electricity consumption. Let's take the case of Medicare. You might be spending huge amount of money every month for medicines or in the hospitals. If you were able to protect yourself contracting such diseases, you won't be wasting time and money for Medicare. Prevention is the answer but you did not do it when you looked so healthy. When you are healthy, you think of automobile or leisure at first. Yes, it is very true that you won't think that you will get sick. Each house, in each garage, we see beautiful vehicle there. Millions of automobiles are manufactured and sold every year. Although the name of PYRO-ENERGEN is becoming a household name, it is still far compared to the names like Honda, Toyota, Ford, and Chevy. If the name PYRO-ENERGEN reaches every house in the world, you may be able to reduce Medicare dramatically. This must be the greatest Eco Solution in the world. Another great Eco Solution to fight food shortages and poverty is to plant Moringa. See article "Moringa Oleifera (Horseradish Tree) as an Eco-friendly Solution". To those who have no lot to plant Moringa, how about container gardening on your veranda or porch? You can find one thousand and one ways of Eco Solutions from just around your house alone.